The UCSD School of Medicine prefers applicants with extensive research experience. If you have not described your research experience in your personal statement, include a description in the secondary application’s autobiographical essay. They offer a PRIME-HEq Program with training in treating medically underserved communities. They also have a dual degree program that allows medical students to earn a Master’s Degree in Clinical Research. You will have the opportunity to explain your interest in these programs through optional essays on the secondary application. This should be a true autobiographical statement. Topics to be included are family, childhood, primary and secondary school years, undergraduate years, and, if applicable, what you’ve done since completing your bachelor’s degree. You should also discuss the motivational factors which led you to a career in medicine including any disadvantages or obstacles which might put your accomplishments into context. A repeat of your AMCAS statement will not be acceptable. Before starting your outline for this response, read and review your AMCAS application essays. If you have not already made a timeline of important events in your life, create one now. Include when your interest in science first developed, your first exposure to medicine, research experience, and any other events that provide an explanation for how your interest in medicine developed. Mark off the events from your timeline that you have already covered in your personal statement. Create an outline based on the events you haven’t yet discussed. Is there a common theme among the events or experiences? How did you become interested in a career in medicine? Why is medicine the ideal career field for you personally? If you are applying to the MD/PhD program, discuss how this program will allow you to achieve your career goals. The goals of PRIME-HEq are: To increase the number of clinicians, research scientists, and advocates addressing minority health and health disparities; to create a diverse community of scholars that develop, transmit, and apply new knowledge in minority health and health disparities; and to promote a multidisciplinary community/university partnership to eliminate health disparities. The program utilizes existing opportunities to allow enrollees to obtain a master’s degree emphasizing minority health and health disparities, tailored to student’s interest (MPH, MBA, MAS, MS). Applicants indicating an interest in PRIME are required to write an additional essay detailing their qualifications and reasons for interest in the program. The PRIME Health Equity Program offered at UCSD SOM provides students with the opportunity to earn a MD as well as a Master’s Degree in interdisciplinary fields. The training students receive will prepare them to treat patients in medically underserved communities. If you are from an educationally or socio-economically disadvantaged background or an ethnicity that is underrepresented in medicine, share more information about yourself. By establishing a clear connection to the communities that you hope to work with in the future, you will be providing compelling evidence of your motivation to serve. Describe your community service to the underserved, focusing on the length of your service. What will the specific training this program offers enable you to accomplish in your career? UCSD Medical School Essay #3: Optional Essay for Global Health Academic Concentration. Please describe your interest in Global Health. The term Global Health can have many meanings; for our purposes, we find the definition provided by Koplan et. al. in their 2009 Lancet publication useful: “the area of study, research and practice that places a priority on improving health and achieving equity in health for all people worldwide”. In your essay, be sure to describe any personal or professional experiences that have shaped your interests, and how Global Health issues have influenced your decision to pursue a career in medicine. UCSD Medical School Essay #4: Optional Essay for Applicants Interested in Master’s of Advanced Studies (MAS) in Clinical Research. Applicants to the UCSD School of Medicine may apply to a program which combines the M.D. degree with a Master’s of Advanced Studies in Clinical Research. This program is appropriate for students who are interested in a career combining medical practice and oversight of clinical research. The Master’s degree can be completed in one year, and is typically pursued between the third and fourth year of medical school. Students accepted into this MD-Master’s program will be supported with a stipend and partial tuition support during the year of the Master’s degree. 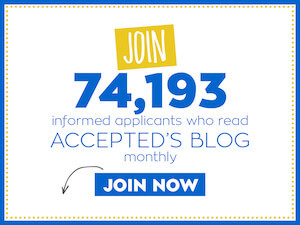 Applicants indicating an interest in MAS Clinical Research are required to write an additional essay detailing their qualifications and reasons for interest in the program. After reviewing the website, explain your interest in their program. Do you have experience in clinical research studies? What did you contribute to the research? How would this degree benefit your patients and improve your knowledge of medicine? 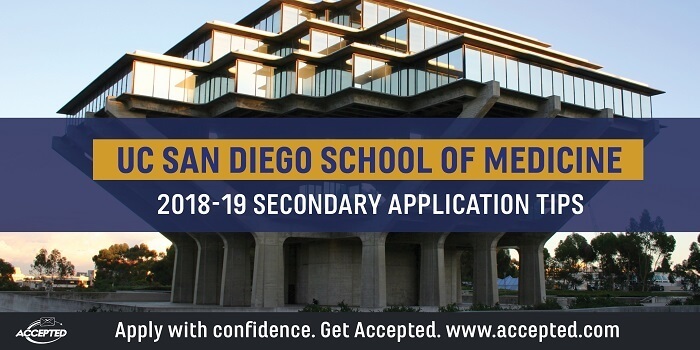 If you would like professional guidance with your UCSD School of Medicine application materials, check out Accepted’s Medical School Admissions Consulting and Editing Services, which include advising, editing, and interview coaching for UCSD School of Medicine’s application materials. Last updated on August 6, 2018.